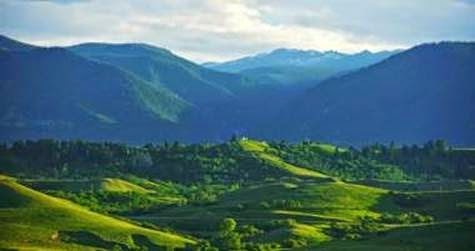 On Wednesday, May 14, the Montana legislature’s Environmental Quality Council and the legislature’s Federal Lands Study Group will hear from a number of Western states that are actively pursuing corrections in federal land management and efforts to bring about the transfer of millions of acres of federally controlled “public lands” to the states. Montana State Senator Jennifer Fielder, who chairs her state's Federal Lands Study Group, penned an Op-Ed on the Transfer of Public Lands that briefly explains the issues involved and the economic, environmental, and liberty benefits that would accrue to Montanans by assuming control over lands now controlled by federal agencies. The Nevada model for transfer of public lands would leave Wilderness, Indian Reservations, Military installations, National Parks, Wildlife Refuges, and Dept. of Energy facilities under federal jurisdiction. Utah's proposal is similar. Montana's study of public lands shows Montanans want more multiple use access, reduction of wildfire fuels, and more economic production. But federal agencies systematically continue to do the opposite of what we want. In Nevada, the federal government controls around 85 percent of the land area. In Alaska it’s nearly 70 percent; in Idaho, more than 50 percent; in Montana, about 30 percent. With the national government facing insurmountable debt, the threat of the federal government selling our public lands to the highest bidder is imminent. In fact H.R. 2657, which authorizes the sale of hundreds of thousands of acres, passed out of a Congressional committee earlier this year. They can sell public lands without our input, and they are undoubtedly under pressure by foreign debt holders to do so. That's a big concern. “On the bright side, a multitude of studies reveal legal standing and economic advantages favoring state based public land management,” says Fielder. The meeting on the Public Lands is open to the public and will take place May 14 at the State Capitol in Helena at 3:30 p.m.